Today I had a Greek salad for dinner. It’s easy to make, tasty and healthy, just the way I like it! 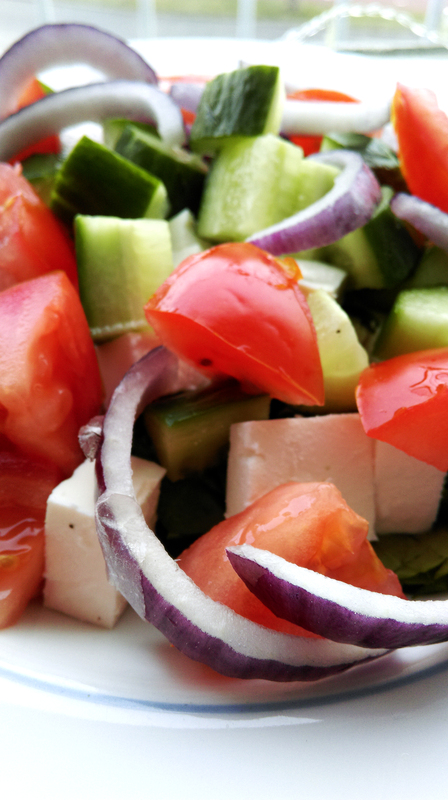 You can also add olives since it really completes the Greek salad. I also used baby spinach instead of lettuce since it’s more nutritious.